2/12/19 The Celebration of the Lunar New Year 2019! 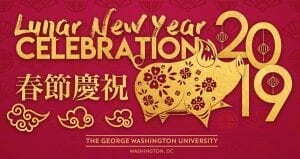 Please join the Organization of Asian Studies on the celebration of the Lunar New Year 2019! As a festival which shared by many Asian countries, this will be an excellent opportunity for students from different countries to celebrate together and get to know with each other! Delicious food from multiple countries and fun games such as lantern making are waiting for you!